Lucideon is pleased to announce the acquisition of a second Dynamic Secondary Ion Mass Spectrometer (DSIMS). The investment doubles the capacity for DSIMS analysis at Lucideon and represents a response to the demand for the service and Lucideon’s commitment to satisfying customer requirements. DSIMS is a spectrometric technique that provides the elemental composition of a material's surface and sub-surface to depths in excess of 100 microns. The technique is important to a wide range of industries, such as healthcare, and can be used to identify contaminants, study structures and profile small surface areas. The new state-of-the-art DSIMS instrument will allow Lucideon’s surface science experts to maintain their fast turnaround times and high levels of service for the increased demand. "This is an important investment for Lucideon. 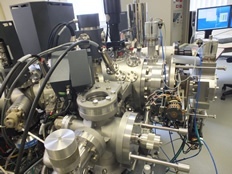 The new instrument has been bought in response to the increased demand we are seeing for our surface science services and the DSIMS technique in particular. "Having the second instrument allows us to meet this demand without a drop in expected turnaround times for our clients, something that is very important to us as we pride ourselves on our exceptional delivery times. It also demonstrates Lucideon's commitment to continued growth as we continue to invest in the latest equipment and the right people to deliver the best service for our clients." DSIMS is part of a large suite of surface analysis techniques offered by Lucideon. The surface science department works closely with all other areas of testing to provide an integrated and robust analytical service to its clients. With expert experience spanning a wide range of industries the testing and analytical team at Lucideon provides valuable insight to a diverse client base, backed up with the latest state-of-the-art equipment. Lucideon prides itself on its partnership approach to working with customers and delivering solutions, not just data.